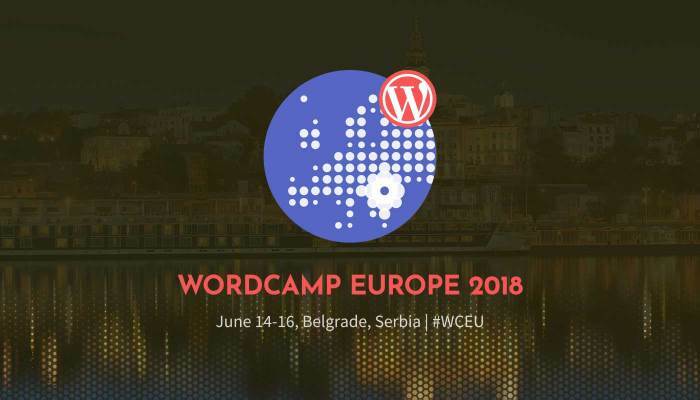 WordCamp Europe 2018 took place last week (June 14-16th) in Belgrade with a total of 2,085 attendees from 76 countries and 808 live stream viewers. Besides the organising team, 170 volunteers were there to make sure everything run smoothly during the event. As usual, these days were very intense. But this is what WordCamps consist of, right? Great talks, great people, and great party. Here’s our recap of WCEU 2018. 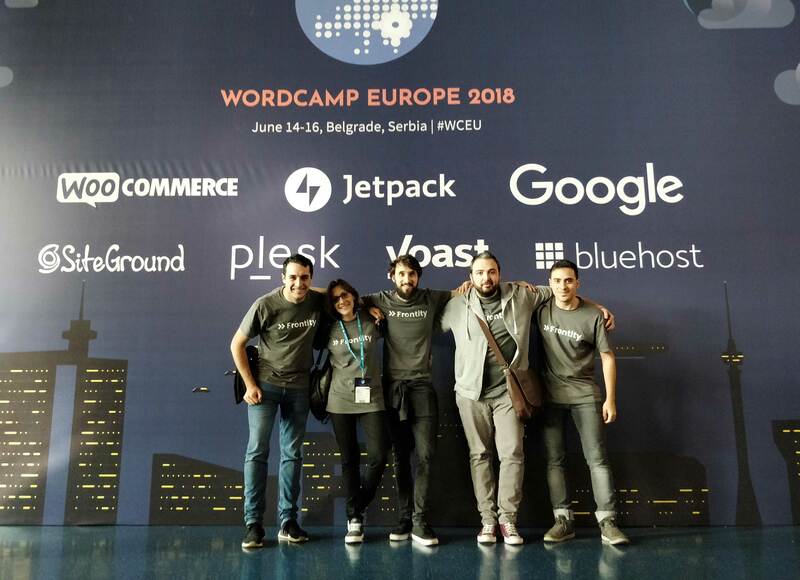 This was our third WordCamp Europe and one of the most special ones because of our contribution to the Official WCEU Progressive Web App. It all started a few months ago, when we talked to some members of the Attendee Services team to let them know that we wanted to collaborate with them. Both we and they thought that it would be nice to offer an app for the attendees, and after a few conversations, we all started working together on it. The hard work came in May and we were very short on time. But, hey, we finally made it! The Progressive Web App was built using React on the front-end and the WordPress REST API to fetch the content, along with our plugin WordPress PWA. The theme is open source and available on GitHub. If you want to learn more, our team wrote a blog post on how we used PWA technologies on top of WordPress. We hope you liked the WCEU app and found it useful during the conference. If you haven’t yet, please don’t forget to share your thoughts (both positives and negatives) about it by filling in this feedback form. As usual, this WordCamp Europe was a fantastic opportunity to meet fellow WordPress enthusiasts, grow our network, and see friends from previous WordCamps and from the Spanish WordPress crew. Also, it was great to meet all the team we worked with to build the app, specially Michael Burridge and Pascal Casier, from the Attendee Services team, and Lucijan Blagonic, Design Team lead. Thanks a lot for your help! In the WordPress ecosystem, the merge of the REST API into core has made it easier to embrace new front-end experiences. 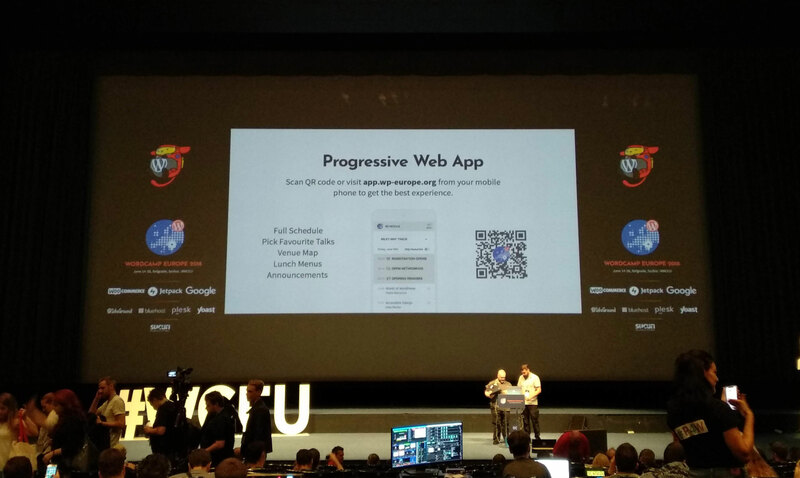 Advances like Progressive Web Apps are receiving a lot of attention from developers and we were very happy to see this type of talks at WordCamp Europe. 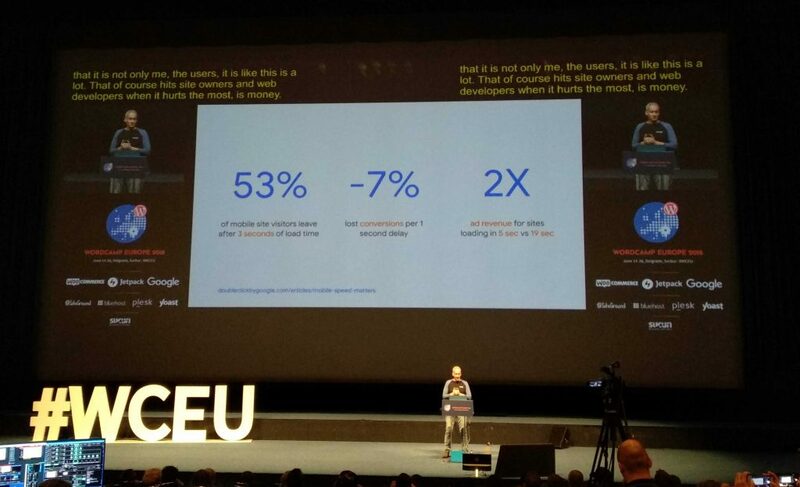 Alberto Medina explains why mobile speed matters at #WCEU. The engineer at Human Made K. Adam White explained during this short talk the importance of documenting your projects for effective communication across teams and third party contributors. In his own words: “Take the time to write things down and take the time to keep it updated. Don’t make your colleagues guess”. You can check out the slides of this interesting talk here. We think it’s important to have mental and physical health sessions like these at WordCamps to raise awareness in the technology community. Both speakers, Christina Varro and Aaron Campbell, talked about their own struggles, identified health issues that we all might have, and shared some ways to face those problems. This session was great for those who want to be freelance but don’t know where to start. Mauricio Gelves shared fantastic tips on how to overcome your fears and take the necessary steps to become a WordPress freelancer. “Design pushes you to think differently.” It’s always fascinating (and inspiring) to listen to John Maeda talk about design. Organisers announced that WordCamp Europe 2019 will be held in Berlin (Germany) at the closing remarks. This is one of our favourite moments of WordCamp Europe, very exciting! When we say that WordCamps consist of great people, great talks and great party, we really mean it. And this year’s after party was truly epic! We danced all night long and had a lot of fun! We could not finish this post without mentioning all the organisers, volunteers, speakers, and sponsors of WordCamp Europe 2018. Thank you all for your amazing work and for making this event possible. It was a huge success! We learnt a lot, met wonderful people, and were very proud to contribute.